Monica earned a BFA in Illustration from Savannah College of Art and Design, with extensive studies in Fine Art Painting and Printmaking. Artist / Owner Monica Rose Kelly operates out of her studio in New Orleans and specializes in fine art, murals, illustration, and design. Her style is musical and dream-like, and she composes her images with an intuitive elegance. She is in love with the vibrant culture of her city, and channels the unique flavors of New Orleans through her work. In addition to creating fine art for collectors, Monica works with businesses large and small to accentuate their brands with original artwork. She creates décor solutions such as murals, hand-painted signage, and paintings to breathe new life into spaces, while keeping brand integrity in mind through use of color and style. Her background in graphic design and signage production taught her to work in a curatorial manner, with a sharp eye for detail and balance. An art educator of 15 years, Monica additionally teaches both digital and traditional media classes. 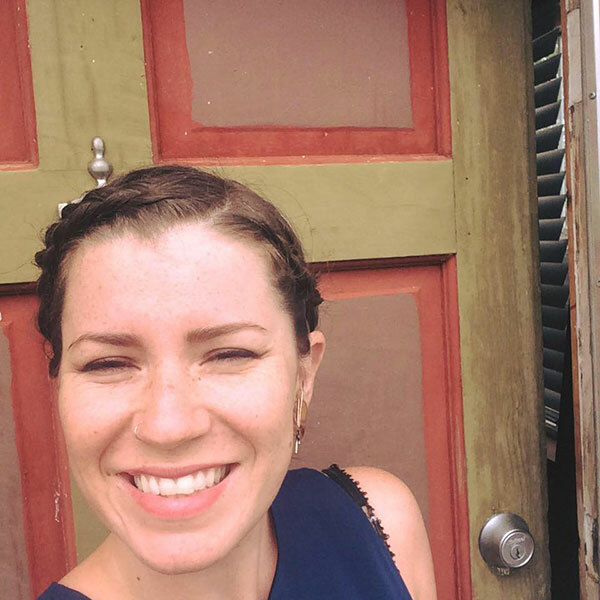 Monica Kelly Studio is located in the 7th Ward of New Orleans, in her historic Creole cottage that she has been renovating into a gallery and classroom. Monica is passionate about building community and strives to form long-term creative partnerships with her clients. She has created brands and merchandise for many non-profits, bands and musicians in the New Orleans community, as well as for larger festivals and international businesses. Monica founded the Magazine St. Art Market to connect local artists and encourage new art collectors. She also co-founded Get Fly Bodypainting collective, which staffs face and body painters for events and photo shoots. The New Orleans Society of Fly Ladies is a collective of creative female entrepreneurs that Monica founded to encourage networking and sharing of resources.